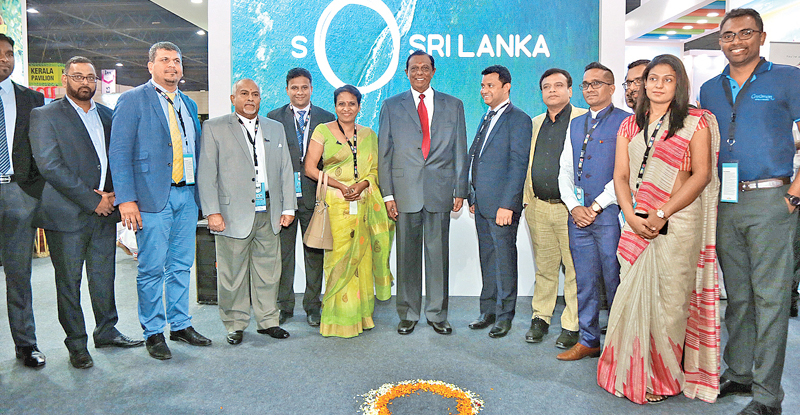 Sri Lanka Tourism made its presence felt at the India International Travel and Tourism Exhibition held in Mumbai, India recently. Minister of Tourism Development, Wildlife and Christian Religious Affairs, John Amaratunga met heads of India’s tourism and travel industry associations on the sidelines of the exhibition. Minister Amaratunga also held meetings with Chairman, Western India Chapter, Jitul Mehta, Secretary General of Tour Agents Federation of India (TAFI), Gladwin Pinto and other officials on how India could promote destination Sri Lanka in the Indian Market. The Minister also requested TAFi to consider holding their annual convention in Sri Lanka in the month of June this year and explore the facilities available in Sri Lanka for MICE Tourism. TAFI officials were upbeat about the proposal and confirmed that the convention will be held in Colombo in June. India International Travel & Tourism Exhibition or IITT is a leading travel, tourism & hospitality exhibition in India. Meetings were also held with key wedding planners and the Indian media. Minister Amaratunga requested their support to promote Sri Lanka as a wedding destination.